A burned-out vehicle discovered in the woods south of Big Bear Lake is the vehicle owned by a former Los Angeles police officer behind a violent crime spree through Southern California. The suspect, former Navy reservist Christopher Jordan Dorner, spent time in San Diego in the days between a double homicide in Irvine on Sunday and a series of police officer shootings early Thursday. He even checked in to a motel used by military officers near San Diego's Lindbergh Field. Now, the investigation has led to the 2000 block of Club View Drive in the Big Bear area, where authorities received a report of a burned pickup matching the description of Dorner's vehicle. The vehicle fire was first reported about 8:30 a.m. Dorner was not found inside the vehicle officials said, but tracks were found nearby. San Bernardino County Sheriff-Corner John McMahon said he could not confirm what officials found inside the vehicle, though it will be sent to a crime lab in the area. “He could be anywhere at this point and that’s why we’re searching door-to-door,” said McMahon. Aerial video recorded Thursday showed a pickup truck that was charred, making it difficult to distinguish its original color. The car was found off a forestry road. "We found tracks around the vehicle, but they did not lead to the suspect," McMahon said. Officials in Big Bear are using dogs as they search through the night, and there are more than 120 law enforcement officers in the area. "We're assuming that he's still in the area because we're continuing to look," McMahon said. 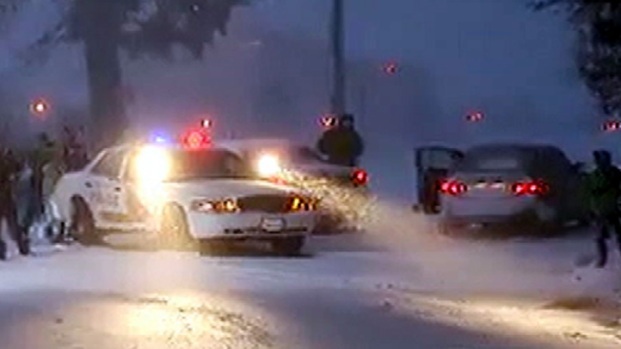 Law enforcement agencies all around the state are on alert, searching Dorner who was last seen in a gray or dark blue Nissan Titan with California license plate 8D83997. Los Angeles and Riverside county deputies are headed to Big Bear to help McMahon said. FBI agents manned a checkpoint to question drivers leaving the area according to the Associated Press. Bear Mountain Resort closed for the day just before 2 p.m. according to a company spokesperson. "We are in constant contact with federal and local authorities regarding this situation," says Chris Riddle, Vice President of Marketing at Big Bear Mountain Resorts. "We felt it was in the best interest of the search to close Bear Mountain for the rest of the day." The ski resort had advertised a lift ticket special Feb. 7 called Uniform Days where skiers or snowboarders wearing their law enforcement uniforms get a special rate. Because of ongoing investigations, schools in Big Bear were placed on lockdown as about 12:30 p.m., according to the Bear Valley Unified School District. "We don't believe there is an immediate danger; we do this as a precaution for the safety of our students and staff. We don't know the duration of the lock down and will post information to our website and Facebook as we get updates on the situation," Assistant Superintended Walter Con said in a statement. Officers at the U.S.-Mexico border said they are also inspecting cars that leave the country, according to border patrol. 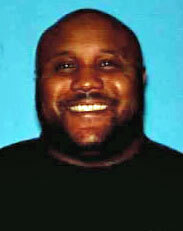 Dorner is accused of fatally shooting a newly engaged couple in Irvine as part of a revenge plot against law enforcement. One of the victims was the daughter of Randal Quan, LAPD's first Asian-American captain who was mentioned by name in a manifesto apparently written by Dorner. 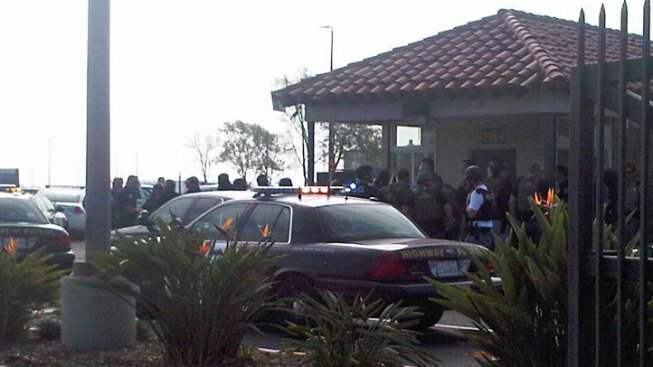 An LAPD badge and Dorner's photo identification were found near Lindbergh Field by an airport shuttle driver. Other equipment possibly connected to Dorner was discovered in a National City dumpster. He may also have been involved in the attempted theft of a boat at a San Diego marina.